Malibu SPF Scalp Protector is a non-greasy, lightweight, must-have for summer. It smells great, but more importantly, protects delicate skin in the sun. A scalp protector might not seem like the most glamorous of beauty purchases. But it could be one of the best you make this summer. Especially if you're prone to burning along the hairline, have fine hair or bleached locks. Here's one that works brilliantly, smells phenomenal and won't leave your hair looking greasy as hell either. 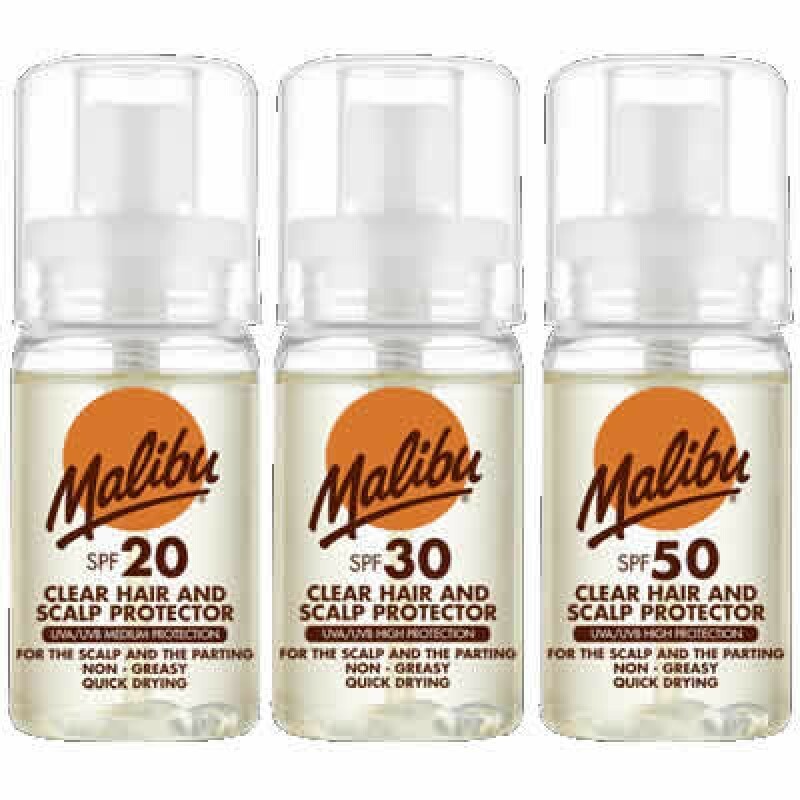 The Malibu Clear Hair and& Scalp Protector (€6) is designed to be used on the scalp and through the hair parting. It absorbs quickly and leaves your hair feeling fresh without any residue or greasiness. I first came across it through a recommendation from a model I was working with. Like me, she has a pale, Celtic complexion, but she also has red hair so suffers even more easily with a burnt scalp. Depending on your skin tone (and preference) the spray is available in SPF 15, 20, 30 and 50. The neat little bottle fits perfectly into a beach bag or handbag too. It's suitable for adults and teens (whether it's men or women) and a little goes a long way. Oh, and most importantly, it really works! Loving the sound of this? You can pick it up online via Amazon.co.uk or Superdrug.